Each year I do back-to-back workshops in Hawaii, one on the Big Island and one on Maui (it’s a tough job, but…, well, you know…). This year’s Big Island workshop was complicated first by the recent Kilauea eruption, and then by Hurricane Lane, which deposited 50 inches of rain on our host city Hilo just days before the workshop. To get my eyes on the damage wrought by Mother Nature, and to scout more alternate locations, I flew to the Big Island five days early (see “tough job” reference above). 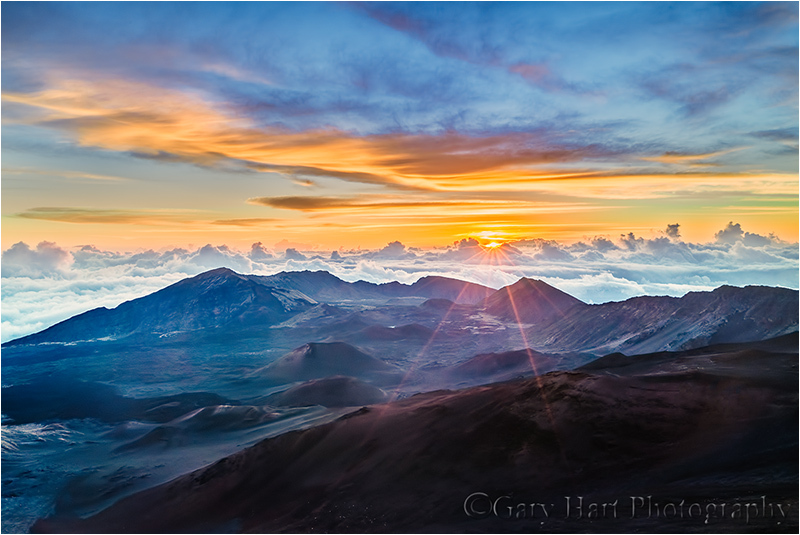 Despite the complications, the workshop turned out great, with a fantastic group and a few new locations (including a beautiful sunset and Milky Way shoot atop Mauna Kea) added to my tried and true favorites, and I breathed a sigh of relief. But my dreams of a stress-free Maui workshop were dashed when Hurricane Olivia took laser aim at Maui. Each day I’d check the forecast hoping to see that she had changed course, and each day I was disappointed. Finally, with just a couple days to go, I completely overhauled the workshop, switching lodging and itinerary to avoid the worst of the storm and get the most the island had to offer. I’m happy to say that despite Olivia, we only missed one morning of the workshop and managed to get our Haleakala sunrise in, plus spend a nice day on the Hana road. 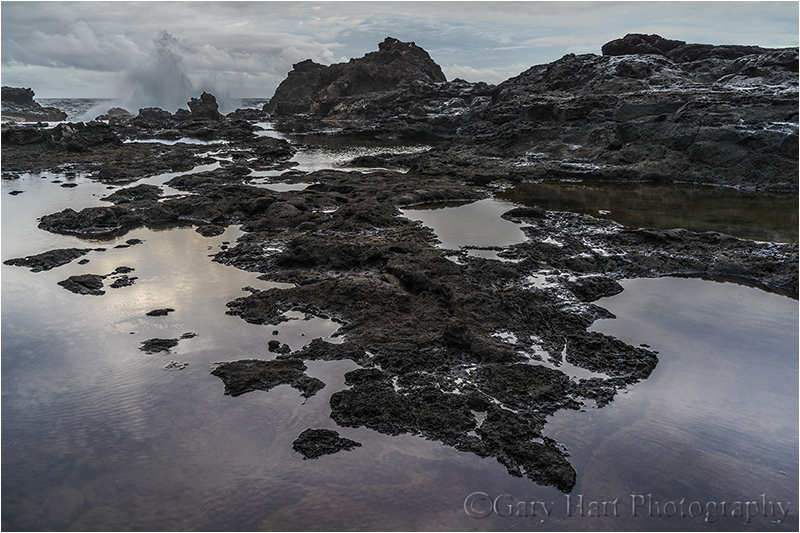 On my September scouting trip for my upcoming Maui workshop I hiked cross-country down the rugged flank of West Maui, searching for lava-rock tide pools I’d read about. Scrambling down a steep hill and over sharp rocks, I found the beach I was looking for but decided it was too dangerous for a group. Rather than return the way I came, I continued picking my way along the shore and eventually found another spot I liked better. At first I thought this wouldn’t be suitable for a group either, but climbing out I found an overgrown dirt road/trail leading back to the highway (“highway” in this case is the one-and-a-half lane, mostly-paved, rental-agreement-voiding Highway 340 circling West Maui). But fearing I’d miss this obscure spur from the main road, I saved the trailhead on my GPS. Last Sunday, the day before my Maui workshop started, I picked up Don Smith (Don assisted this workshop; I’ll return the favor in one of Don’s workshops) at the airport and was excited to share with him the spot I’d “discovered” (it’s not as if I’m the Lewis and Clark of landscape photography—there’s enough debris down there to indicate the spot is known to locals) and off we went. The steady rain that had been falling for most of the afternoon increased with the road’s remoteness and soon we were slaloming around boulders dislodged from the surrounding cliffs by the downpour—at one point we passed a car waylaid by a grapefruit-size rock embedded in its windshield. Closely monitoring my GPS, at the prescribed location and without hesitation (for dramatic effect) I veered left into a barely distinguishable gap in the trees almost as if I had a brain. The narrow track unfolded between rapidly oscillating wipers, immediately plummeting the steep hill and twisting right. Dense foliage brushed both sides of the car, which by now was clearly losing purchase in the mud. Don hadn’t quite finished a sentence that started, “Are you sure…,” when it began to dawn on me that I’d never intended to actually drive this road, that my plan when I marked it six months earlier was to park at the top and walk down. Oops. Propelled by momentum and without the benefit of traction put us completely at gravity’s mercy, careening downward (picture the jungle mudslide scene from “Romancing the Stone”). Steering seemed to have more influence on the direction the car faced than it did on its direction of travel and I quickly gave that up. Were it not for the deep ruts that occasionally nudged us back on course, I’m sure we’d have bounced into the jungle. I held my breath as we approached a boulder jutting from the roadbed and exhaled when the undercarriage passed above unscathed. Shortly thereafter the slope moderated somewhat and we slid to a stop, miraculously still on the “road” (more or less). After a few seconds of cathartic expletives, I scanned our surroundings. Backing up the slippery road was out of the question, but a little farther down the slope we spotted a flat, clear space with a small Y-spur that might enable us to at least turn around. I scrutinized the dash for the switch that would engage the 4-wheel drive (I swear) the guy at rental agency promised my SUV had. When we didn’t find it Don dug the manual from the glovebox—apparently 4WD is an option the powers-that-be at Alamo deem unnecessary on Maui. Uh-oh. With crossed fingers I gave the car some gas and felt the wheels spin with no effect. More expletives. Don and I exited into the rain to survey our predicament: the road was fast graduating to creek status, and where rubber tires were supposed to be, instead were four mud disks. Scraping the tires clean had little value because the next revolution simply reapplied a fresh layer. Back in the car I found that cranking the steering wheel hard in both directions gained just enough traction to un-mire the tires and I gingerly rolled the car downhill, away from safety, but at least into a relatively flat, open space. Yay! Once on level ground, and with only a little bit of slip/slide drama, I gingerly pivoted the car into the adjacent spur and nudged back around to face the direction we’d just come. Progress! Now for the hard part. Looking for the first time toward freedom, we came to grips with the chute that had deposited us: Not only was it steep, at the steepest (and muddiest) point it curved hard-left, but banked hard-right—not exactly an arrangement that would be embraced at Daytona. I inhaled and goosed the gas and we shot upward, fishtailing like a hooked marlin before losing momentum before coming to a stop a mere fifty feet closer to freedom. This maneuver had also managed to skew the car at a 45-degree angle to the road, its left-front fender in the jungle on one side, its right-rear fender in the jungle on the other. When I gave the car gas the tires spun hopelessly. Facing defeat we started strategizing Plan B: With an hour of daylight remaining and no cell service, we’d need to walk up to the highway and hope to flag down, in the rain, a good samaritan willing to drive two disheveled, mud-caked strangers back to civilization (about 45 minutes away), then hope to summon a tow truck that would extricate us. While Don trudged through the rain up to the main road to get help, I stayed with the car, licking my wounds and feeling pretty foolish. It occurred to me that since the road was too narrow for a tow truck, and the distance and tight curve would make winching difficult, even a tow truck wouldn’t guarantee freedom. Watching Don head back up the hill to seek help, I decided to give extraction one more shot. I shifted the car into reverse, gave it some gas, and cranked the steering wheel back and forth violently until the tires broke free and the car rolled out of the jungle and back onto the muddy trail and back down to the clearing below. So far so good. Once there, I gave the pedal a gentle nudge and reversed slowly all the way to the clearing’s back side (another 20 feet), where I hoped there might be a little more gravel and less mud—and most importantly, a little more room to gather momentum. With a small prayer I slipped the transmission into in first and floored the accelerator, rocketing ahead with enough forward speed to avoid much of the fishtailing I’d experienced earlier. Peering through flailing wipers I aimed for the small opening that had deposited us, shooting past crumpled shrubs and protruding rocks until the road steepened. With the steepened incline the energy of my forward momentum was replaced by spinning wheels that spewed mud like a dirty firehose, but I just kept my foot to the floor. Approaching the curve I felt the car start to tilt right and slow almost to 0, but somehow the tires maintained just enough grip to avoid a complete stop. The fishtailing had returned, now exceeded the forward motion but I didn’t care as long as I still had forward motion. I rounded the curve and surprised Don, who dove into the jungle just up the road and turned to cheer me forward. Just as my forward motion was about to to hopelessly be completely transformed into spinning wheels the road leveled, my rear tires grabbed something solid, and I shot forward. Not wanting to slow until the tires kissed pavement I lowered my window and high-fived Don as I flew past and onto the highway. At the top we just couldn’t stop laughing, both at the foolish predicament I’d created, and our utter disbelief that we’d made it out. This year’s visit was far less eventful. We parked at the top and entire group made it down to the water on foot, without incident. After receiving a brief summary of the scene and a return time, the group quickly scattered in search of one of the seemingly infinite number of great photos here. I kept my camera in the bag as I moved around to work with everyone, eventually finding myself atop a jagged rock ridge about 20 feet above pounding surf. When I saw the sunset color reflecting in the water, I pulled out my Sony a7RIII and added my Breakthrough 6-stop neutral density filter to my Sony 16-35 f/2.8 GM lens. Carefully monitoring my histogram, I dialed in a long exposure that smoothed the surf and blurred the streaking clouds. In my Canon days I’d have needed a graduated neutral density filter (or multiple images) to capture the entire dynamic range in this scene, but the a7RIII has about 3-stops more dynamic range (an entire GND worth!) than my Canon DSLRs did, enabling me to capture this scene’s entire range of light with one click. I have many “favorite” photo locations—many are known to all; others aren’t exactly secrets, but they’re far enough off the beaten path to be overlooked by the vacationing masses. And while I always like to have a spot or two at my favorite photo destinations where I can count on being alone, I’m usually happy to share prime photographic real estate with a kindred spirit. But. In recent years I’ve noticed more photographers abusing nature in ways that at best betrays their ignorance, and at worst reveals their indifference to the fragility of the very subjects that inspire them to click their shutters in the first place. Of course it’s impossible to have zero impact on the natural world: Starting from the time we leave home we consume energy that directly or indirectly pollutes the atmosphere and contributes greenhouse gases that precipitate climate change. And once we arrive at our destination, every footfall alters the world in ways ranging from subtle to dramatic–not only do our shoes crush rocks, plants, and small creatures, our noise clashes with the natural sounds that comfort humans and communicate to animals, and our vehicles and clothing scatter microscopic, non-indiginous flora and fauna. A certain amount of damage is an unavoidable consequence of keeping the natural world accessible to all who would like to appreciate it, a tightrope our National Park Service (to name just one public caretaker) does an excellent job navigating. It’s even easy to believe that I’m not the problem–I mean, who’d have thought merely walking on “dirt” could impact the ecosystem for tens or hundreds of years? But, for example, before straying off the trail for that unique perspective of Delicate Arch, check out this admonition from Arches National Park. Hawaii’s black sand beaches may appear unique and enduring, but the next time you consider scooping a sample to share with friends back on the mainland, know that Hawaii’s black sand is a finite, ephemeral phenomenon that will be replaced with “conventional” white sand as soon as its volcanic source is tapped–as evidenced by the direct correlation between the islands with the most black sands beaches and the islands with the most recent volcanic activity. While Yosemite’s durable granite may lull photographers into environmental complacency, its meadows and wetlands are quite fragile, hosting many plants and insects that are an integral part of the natural balance that makes Yosemite special (and photogenic!). Despite all this, I can’t tell you how often I see people in Yosemite (photographers in particular, I’m afraid) trampling meadows, either to get in position for a shot or simply as a shortcut. Still not convinced? If I can’t appeal to your environmental conscience, consider that simply wandering about with a camera and/or tripod labels you, “Photographer.” In that role you represent the entire photography community: when you do harm as Photographer, most observers (the general public and decision makers) go no farther than applying the Photographer label to anyone with a tripod or big camera, and lumping all of us into the same offending group. Like it or not, one photographer’s indiscretion affects the way every photographer is perceived, potentially bringing restrictions that directly or indirectly impact all of us. So if you like fences, permits, and rules, just keep going wherever you want to go, whenever you want to go there. But if you’re like me and would prefer unrestricted access to nature’s beauty, please respect your surroundings and consider the ramifications of your actions. Environmental responsibility doesn’t require joining Greenpeace or dropping off the grid (not that there’s anything wrong with that). Simply taking a few minutes to understand natural concerns specific to whatever area you visit is a good place to start. Most public lands have websites with information they’d love you to read before visiting. And most park officials are more than happy to share literature on the topic (you might in fact find useful information right there in that stack of papers you jammed into the center console as you drove away from the entrance station). When you’re in the field, think before advancing. Train yourself to anticipate each future step with the understanding of its impact–believe it or not, this isn’t a particularly difficult habit to form. Whenever you see trash, just pick it up even if it isn’t yours. And don’t be shy about reminding other photographers whose actions risk soiling the reputation for all of us. My favorite places to visit (and photograph) are the usually ones that are different from any place I’ve seen. Near the top of that list is the bamboo forest near Ohe’o Gulch on Maui. 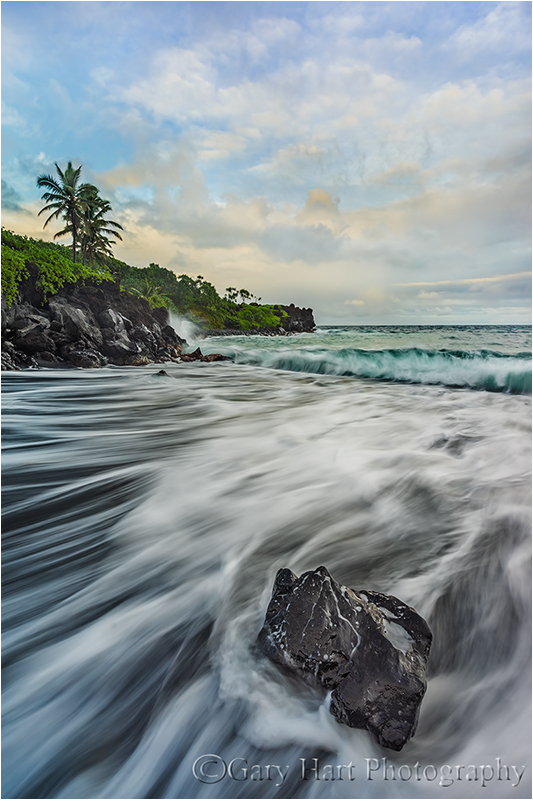 Conditions permitting, I make it a point to get my Maui workshop group here during our two-day stay in Hana, and it never disappoints. On last year’s visit it rained for most of the walk up to the forest, and well into our stay there—not a torrential downpour, but enough to make photography tricky. Since overcast sky provides the best light for photographing in this incredibly dense, dark environment, so I welcomed the challenge. The rain stopped and patches of blue sky appeared just as it was time to leave. Despite the extreme dynamic range, before packing up I couldn’t resist trying a few frames to see if I could capture the diaphanous glow of the backlit bamboo leaves. To emphasize the backlit leaves, I attached my Sony 12-24G to my Sony a7RII and pointed straight up. I moved around a bit until I found a couple of leaning bamboo stalks to add a little visual tension to my frame. I was so focused on my immediate surroundings that it wasn’t until a sunstar appeared in my viewfinder that I realized the sun had popped out. Positioning myself to place a bamboo stalk between the sun and my camera, I composed this scene, stopped down to f/18, and waited for the sun to pop out. A hat’s throw away: The front flower was no more than two inches from my lens. I stopped down to f20 (smaller than I like to go) and focused on the back of the front flower. Even a 17mm and f20 you can see that the Rockies are slightly soft–but because the foreground flowers are so sharp, the background softness is really not a problem. Okay, you might guess that as a nature photographer I spend a lot of time chasing rainbows. True, but I swear that in Hawaii it feels like rainbows are chasing me. Hawaii is the only place I’ve ever been where rainbows just appear with no warning, where I can be standing in full sun beneath a handful of puffy clouds, glance toward the horizon, and do a double-take—where’d that come from? What’s the elevation of the sun? If the sun is lower than 42 degrees above the horizon, a rainbow is possible—the lower the sun, the higher and more complete (greater arc) the rainbow will be. If the sun’s near the horizon, a towering, nearly half-circle rainbow is possible; if the sun is higher, closer to 42 degrees, only a horizon-hugging, flatter rainbow is possible. What’s the direction of the sun? A rainbow always appears directly opposite the sun—the best way to determine where it will appear is to find your shadow, which will point directly toward the rainbow’s center (and its apex). If a rainbow does appear, where do I want to be? Armed with the answers from the first two questions, I know whether a rainbow is possible and exactly where it will appear. Now all I need is a composition for it. Pre-planning my rainbow composition prevents the Keystone Cops panic that typically ensues when a photographer looks skyward and spots a rainbow, but has nothing to put with it. 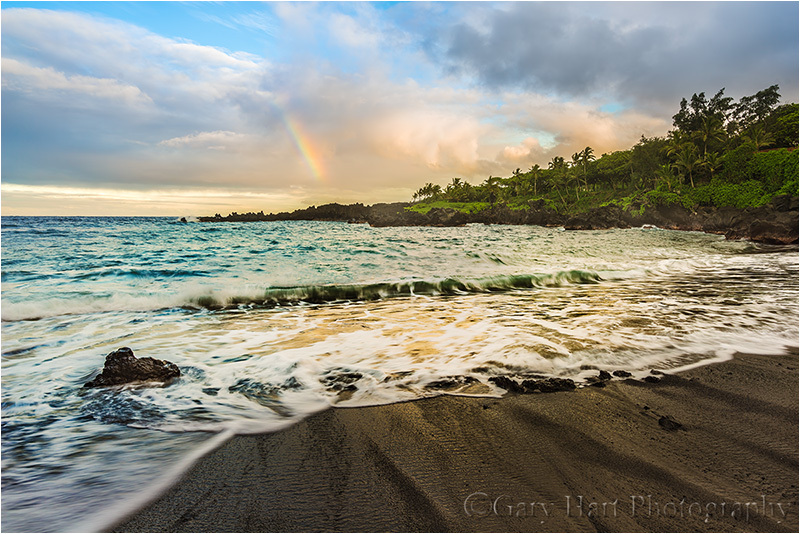 This simple exercise served me well a couple of weeks ago on Maui when, while photographing a wave-swept rock on the Wai’anapanapa Black Sand Beach near Hana, a vivid rainbow segment materialized above the eastern horizon. There had been no hint of rain, so I was pretty focused on my subject and not really thinking about rainbows. But since I’d run through my routine rainbow checklist earlier, I knew exactly where I wanted to be and what I wanted to do. In this case it was a simple matter of shifting to the other side of the rock I’d already been photographing and back up the beach a little bit. A horizontal composition allowed me to balance the rainbow with “my” rock while including enough of the lush, palm tree studded peninsula to infuse a tropical feel. The next (easily forgotten) step was to ensure that my polarizer was properly oriented (a mis-oriented polarizer will erase a rainbow). Finally, timing my click before the waves swept too far ashore allowed the black sand beach play a prominent role in the bottom third of my frame. Want to learn the how, when, and where of rainbow photography? 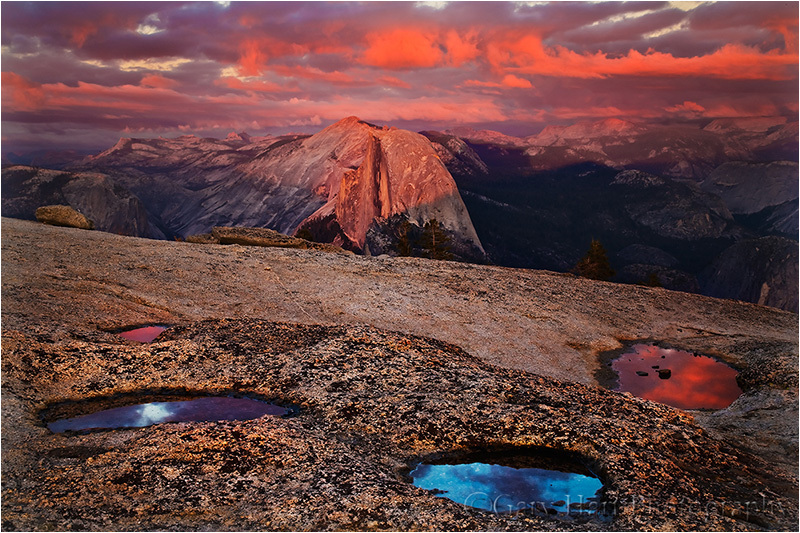 My Rainbows Demystified article in my photo tips section is a good place to start. Believe it or not, one of the questions I’m asked most frequently is whether I’ve ever had anyone attend a workshop who I would not allow in a future workshop. My answer has always been an immediate and emphatic, No. That changed in a recent workshop, which got me thinking that a successful photo workshop is as much about the people as it is about the location and conditions. And while one bad apple can indeed spoil the whole bunch, it won’t if I do my job. In the (unnamed) workshop in question, it soon became clear to everyone that my problem participant (who I’ll call PP) was just an unhappy person who wasn’t going to be satisfied no matter what I did. When PP’s complaints started, my first reaction was that I needed to fix something I must be doing wrong, but when I started getting complaints about PP from other workshop participants, my focus had to change—it’s one thing to have an isolated disgruntled customer, but when that customer affects the experience of the entire group, my priority has to be the group. A successful photo workshop requires flexibility. Certainly in the timing and location of the shoots (which vary with conditions), but also flexibility of standard operating procedure as circumstances dictate. For example, over the years I’ve observed that much of the group connection happens in the vehicles, on the way to and from a shoot, and I’ve found that nothing enhances group chemistry better than getting everyone to ride with different people each day. But after watching participants pretty much trample each other to avoid riding with PP, I relaxed my switch vehicles “rule.” It seemed PP had found a comfort zone with two other participants who seemed satisfied with the arrangement, and I was quite content to not disturb that. On the other hand, I can’t allow someone’s unhappiness to affect my role as a teacher and leader. I’ve learned that it’s never productive to take these things personally—I’m sure this person was struggling with things far more important than photography, and I just happened to get caught in the crossfire. Looking at it that way, I was actually able to feel compassion for my antagonist, and continue giving her the assistance she needed. We achieved a civil detente during our shooting and training time that allowed PP to get questions answered, and the rest of the group to shoot and learn without distraction. One bad customer experience notwithstanding, to say that leading photo workshops has exceeded my expectations would be a vast understatement. I came into it with nearly 20 years of technical communications experience (training programmers, tech writing, tech support), and thirty years of photography experience. And as a California native who grew up camping, backpacking, and (later) photographing all of my initial workshop locations (Yosemite, Eastern Sierra, Death Valley), I was intimately familiar with my subjects. Piece of cake, right? The big unknown for me was the people—I like people, but would every group feature a PP (or two)? (I also underestimated the business side of things, but that’s a different story that at least has a happy ending.) I mean, no longer would I be lecturing programmers and IT geeks in an air conditioned training room, delivering a canned presentation I’d offered countless times before. Leading photo workshops meant herding a group of individuals possessing a broad range of fitness, skill, equipment, expectations, and needs, through remote areas in extreme, unpredictable conditions. What could possibly go wrong? It turns out, not too much. 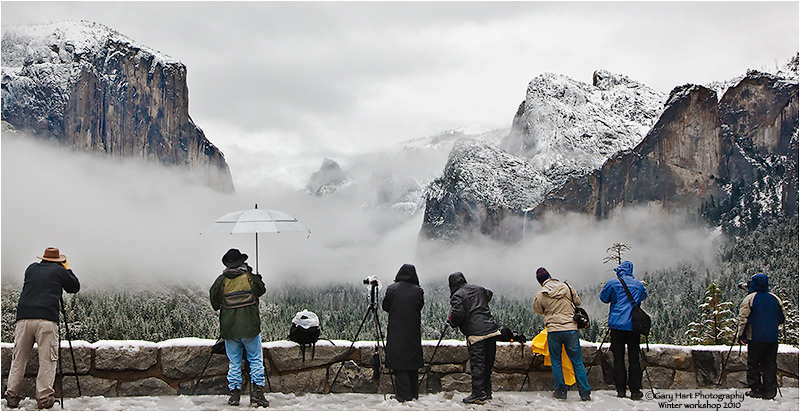 First, I’ve always felt that my best photography memories often come in the most extreme conditions. And guess what—most other photographers feel the same way, and will gladly endure extreme conditions in exchange for great photography. They’ll also forgive difficult conditions that prevent potentially great photography: a downpour that makes photography impossible, clear skies that bathe beautiful scenery in harsh light, clouds that block a much anticipated moonrise, and so on. The key for dealing with difficult conditions is to always have a backup plan (or two). But what about simple human diversity? Surely combining a bunch of people with so many differences would be a recipe for disaster. Concerned about mixing struggling beginners with impatient experts, I originally toyed with the idea of minimum equipment and experience requirements. What a mistake that would have been. While most of my workshops include photography skills ranging from enthusiastic beginner to experienced pro or semi-pro, rather than create tension, these differences create a synergy as the experts love sharing their knowledge and experience with anyone who will listen. Of course diversity encompasses more than photography skill. I’ve had workshop participants from every continent except Antarctica, and (I’m pretty sure) every state in the U.S. I’ve had doctors, lawyers, programmers, accountants, veterinarians, athletes, dentists, clergy, CEOs, writers, actors, musicians, stay-at-home moms, stay-at-home dads, and on and on. In one workshop I had a rocket scientist and a brain surgeon. I’ve had a woman who biked across America, and a man who hiked the entire Pacific Crest trail. I’ve had gays and lesbians, outspoken liberals and conservatives, a woman in a wheelchair, a man in the final stages of cancer, and a 9/11 survivor. The common denominator transcending all this disparity? A passion for photography that unites strangers long enough to overcome superficial differences and appreciate deeper similarities: a love of family, friendship, nature, sharing, laughter. I often joke that I don’t photograph anything that moves. Clearly that’s not true, as people love to point out all my flowing water, lightning, and star trail images. But adding motion to a static landscape does introduce a new layer of complication. How we deal with that motion is equal parts aesthetic instinct to convey the illusion of motion in a compelling fashion, and the technical skill to simultaneously expose properly and freeze the motion at the right time, or blur it the desired amount. When dealing with surf I usually start with finding the right composition. When I’m satisfied with my composition, I move on to my depth of field decisions (f-stop and focus point), then meter the scene. Only when my composition and exposure are ready and waiting atop my tripod, do I start think about clicking my shutter. Rather than one or two clicks and done, when I really like my composition I sometimes (often) click several dozen times before recomposing, varying the wave action and shutter speed with each click. (Since my exposure is set, changing my shutter speed requires a compensating ISO and/or f-stop adjustment.) Despite the fixed composition, this approach uses the motion of the waves to make each frame different from the others, often significantly different. Following each click, I evaluate the image on my LCD for small composition and exposure refinements, and to better understand my camera’s translation of the waves’ motion. It’s not long before I have an idea of what type of wave to look for, when to time my click, and the shutter speed that creates the effect I want. On Maui’s Wai’anapanapa Black Sand Beach (near Hana) a couple of weeks ago, I used a rock protruding from the black sand to anchor my foreground. I chose a vertical composition to give the rock more of my foreground than a horizontal frame would have, and to allow me to include more of the sky, which I thought had appealing clouds. Most of the waves petered out far short of the rock, but I soon realized that the waves that worked best were those that came far enough up the beach reach or even encircle the rock. I also decided that the waves that advanced farthest created their nicest effect on their way back out. With these insights in place, there was nothing more to do watch, wait, and click. Every once in a while a wave would slide just far enough up the beach to tickle my (bare) toes and I’d click a couple of times. Perhaps mesmerized by the rhythm of the surf, I completely misjudged the incoming wave captured here. While no earlier wave had even reached my ankles, this one soaked me well above my knees and drenched most of my shorts. By the time I realized I was going to get wet it was too late to retreat, so I just rode it out, managing this click as the wave washed back out to sea (without me or my camera, thank-you-very-much). Scouting locations for my Maui workshop, I scrambled cross-country down the rugged flank of West Maui’s north side, trying to make my way to a series of lava-rock, reflective tide pools. Once I’d descended to ocean level, reaching the pools still required hopscotching across wet basalt that was a disconcerting hybrid of banana peel slippery and razor sharp. As beautiful as the scene was, I decided access was far too dangerous for a group. Rather than return the way I came, I continued picking my way along the rugged shoreline, eventually finding another group of connected pools elevated above the surf on a lava shelf. Even more varied and beautiful than the original location, I initially thought this spot wouldn’t be suitable for a group either. But climbing back to my car I stumbled upon an overgrown, unpaved “road” (maybe once upon a time used by vehicles) through the jungle and in the general direction of the main road (up). After hiking a couple of hundred yards, I parted a branch blocking my progress and found myself back at the highway (“highway” in this case is the one to one-and-a-half lane, mostly-paved Highway 340 circling West Maui), not too far from my car. So, maybe these tide pools could be accessed by a group. Fearing I’d miss this obscure spur from the highway, I saved its position on my GPS and made a mental note to return. The day before my next Maui workshop started, I picked up my friend and fellow photographer Don Smith at the airport. I was particularly excited to share the West Maui tide pools I’d “discovered” (it’s not as if I’m the Edmund Hillary of landscape photography—there are signs down there that indicate the spot is known to locals) and off we went. Highway 340 circling West Maui will void most rental contracts, even on the best of days. This day the steady rain that had been falling all afternoon seemed to increase with the road’s remoteness, and I found myself wishing for another speed on the windshield wipers as we slalomed around boulders dislodged from the surrounding cliffs by the downpour—at one point we passed a car waylaid by a grapefruit-size rock embedded in its windshield. Undeterred, we soldiered on. This was Don’s first Maui visit, so I narrated the tour with vigor, enthusiastically pointing out the island’s scenic highlights as we sloshed past, occasionally pausing my narrative long enough to reassure him that the highway was indeed navigable despite increasing evidence to the contrary, promising a worthy payoff at the promised destination. Closely monitoring my GPS (almost as if I had a brain), at the point of the hidden intersection I veered left into a gap in the trees with surgical precision. Between rapidly oscillating wipers the narrow track at first unfolded just as I’d remembered it, before suddenly narrowing, dropping, and twisting to the right. Dense foliage scraped both sides of the car, which by now was clearly losing purchase in the mud—before Don could finish a sentence that started, “Are you sure…,” it dawned on me that I’d never intended to actually drive this road, that my plan when I marked it six months earlier had been to park at the top and walk down. Oops. Propelled by momentum, and without the benefit of traction, gravity was now in charge (remember the jungle slide scene from “Romancing the Stone“?). Steering seemed to have less influence on our direction of travel than it did on the direction we faced, so I quickly gave that up. If it weren’t for the road’s deep ruts, I’m sure we’d have careened into the jungle. I held my breath as we approached a bowling ball size boulder and exhaled when the undercarriage passed above unscathed. After the longest hundred yards of my life, the slope moderated somewhat and the car slid to a stop. After a few seconds of cathartic expletives, Don and I scanned our surroundings. With the car pointing in the the wrong direction (down), I knew getting out started with somehow turning around. A little farther down the slope I spotted a flat, clear space with a short Y-spur that, if we could reach it, might enable us to backup and turn around. I scrutinized the dash for the switch that would engage the 4-wheel drive (I swear the guy at rental agency promised my SUV had 4WD). When we didn’t find it, Don dug the manual from the glovebox—apparently 4WD is an option the powers-that-be at Alamo deem unnecessary on Maui SUVs. With crossed fingers I gave the car some gas and felt the tires spin with no effect. More expletives. Don and I exited into the rain to evaluate our predicament—we were stuck on a road that was soon to become a creek, supported by four mud disks where the tires used to be. Hmmm—that would explain the whole no traction thing. Scraping the tires clean would have been of little value because the next revolution would simply reapply a new layer. With Don pushing, I found that cranking the wheels 90 degrees gained just enough traction to free us and I gingerly rolled the car further downhill and into the open space and down into the Y’s left spur. Yay! With only a little bit of slip/slide drama, I backed slowly and pivoted into the Y’s other spur until the car was turned around and pointed back up the slope we’d just descended. Now for the hard part. Looking for the first time in the direction of freedom, we came to grips with the chute that had deposited us: Not only was it steep, at the steepest point it curved hard-left but banked steep-right—not exactly a design that would be embraced at Daytona. I inhaled and goosed the gas and we shot upward, fishtailing like a hooked marlin before losing momentum and coming to a stop no more than fifty feet up the road. This time the car was skewed 45-degrees, its left-front fender in the shrubs on one side, its right-rear fender in the shrubs on the other. When I gave the car gas, the tires spun hopelessly. More stuck than ever, we started strategizing Plan B—with an hour of daylight remaining and no cell service, we’d need to walk up to the highway and hope to flag down, in the rain, a good samaritan willing to drive two disheveled, mud-caked strangers back to civilization (about 45 minutes away), then hope to summon a tow truck that would extricate us. While Don trudged up the road to implement that plan, I stayed with the waylaid car, licking my wounds and feeling pretty foolish. Surveying things more closely, it occurred to me that since the road was quite narrow, and the distance and tight curve would make winching difficult, even a tow truck wouldn’t guarantee freedom. If I’d only remembered my Acme Rocket Skates…. With nothing else to do, I decided to take rescue into my hands one last time. Rather than apply the brute force, gas pedal to the floor approach, I put the car in reverse, gave it just a little gas, and cranked the steering wheel back and forth violently until the tires broke free and returned more or less back in the ruts. I applied a little more gas to get it rolling, then let gravity and the rutted road roll me back to the level clearing. Without allowing it to lose momentum, I added a little more gas and rolled all the way to the far back end of the clearing, where I found a small section that was less mud and more gravel. I’d given myself about 30 feet of relative flat for momentum before reaching the hill. With a small prayer I slipped the transmission into in first and eased the accelerator down, adding gas just slowly enough to avoid losing traction. By the time I reached the hill the pedal was all the way to the floor and I had enough forward speed to avoid much of the fishtailing I’d experienced earlier. Past the crumpled shrubs and protruding rock I shot—as the road steepened my speed dropped and I could feel the wheels spinning but I just kept my foot to the floor. Approaching the curve I felt the car start to tilt right and slow almost to zero but somehow the tires maintained just enough grip to avoid a complete stop. I rounded the curve and surprised Don, who sprinted ahead and turned to cheer me forward. By now the fishtailing exceeded the forward motion but I didn’t care as long as there was still forward motion. About 20 yards beyond the curve the road leveled and I felt the tires grip rock—freedom! Not wanting to stop until my tires kissed actual pavement, I lowered my window and high-fived Don as I rocketed past and onto the highway. At the top we just couldn’t stop laughing, both at the foolish predicament I’d created, and our utter disbelief that we’d made it out. Despite the traumatic memories, I’ve added this location to my Maui workshop rotation (but now we walk down, thank-you-very-much). Nevertheless, for various reasons this location has managed to thwart me—I’d never captured an image that completely satisfied me. The first year our shoot here was washed out by a deluge that made the road impassible even on foot. Last year we were inhibited by persistent showers that were compounded by camera problems. But this year I gave it another shot, leading the group here at the end of a long day that started with a 3:30 a.m. departure for Haleakala. Dark gray clouds hung low and delivered tangible flecks of moisture, and I feared they’d let loose before the group had a chance to get established. The road was muddy and a little slippery, not like it was for my misadventure, but enough that a few people bailed and called it a day. The handful who stayed were rewarded with mirror-calm tide pools surrounded by exploding surf. The clouds didn’t permit enough sunlight to color sky, but they retained enough definition and texture to be photogenic. As I moved around to work with each of the workshop participants, I fired a few frames of my own, eventually landing in the spot you see here. I decided to go with my 16-35 lens to exaggerate the pool at my feet. Following my general policy to place the horizon line separating foreground and sky on the part of the scene with the most visual interest, I gave almost all my frame to the foreground. I rotated my polarizer to a midway point that reflected the sky but still revealed the submerged basalt. Satisfied with my composition, I stood back and watched the surf, timing each click with the most violent collisions. I captured several more “keeper” images—enough, I think, to more than make up for previous failures (and mishaps) here. Sleep was no problem that night. Coordinating all of the rapidly changing exposure and composition variables sometimes feels like juggling cats (thankfully without the bloodshed). The difficulty is compounded by the unfortunate need to simultaneously process input from two sides of the brain (creative and logical) that don’t often play well together. For me an image usually starts with a feeling or connection, not just the scene’s now, but also for its what-might-be. Using that seed, a general idea for a composition emerges. Next, I evaluate the scene’s exposure, depth, and motion variables, and how to best manage them with my camera’s aperture, shutter, and ISO settings. Usually compromises are required, as one need usually contradicts another (see “cat juggling,” above). And finally, when I think everything’s in place, I return to my creative instincts and allow my intuitive side to actually click the shutter—that is, it has to feel right. Often this is a multi-click process requiring multiple frames, with analysis and refinement in between, each frame informing the next until I’m satisfied. Below is a summary of my mental process as I tried to turn this beautiful Maui sunset into a photograph. Its genesis came long before the final click (and the beautiful color that made this moment special). Hmmm—beautiful scene, with real potential for sunset color -> Wander around a bit in search of a foreground to go with the Pacific sunset. Love these pools—would love to balance them with the setting sun and Molokai in the distance -> If I stand here, this long pool creates a nice diagonal pointing toward Molokai, and connecting the background pool on the left with the sun creates a corresponding (balancing) diagonal in the other direction. Don’t want to cut Molokai off -> Definitely need the 17-40. But if I go too far right with my composition, I crowd the sun and cut off part of the reflective pool on the left -> Go super-wide with the 17-40. Don’t want to go all the way out to 17mm and risk losing sharpness at the corners -> 20mm will work. Yeah, I think I can do something with this composition -> Set up the tripod. Lots of dynamic range here -> Time for the Singh-Ray graduated neutral density filters. Three soft? Horizon still too bright. Two hard? Maybe. Three reverse? Even better. Will deal with disguising the GND transition in Photoshop. Need to be sharp from front to back -> Small aperture, but not so small that diffraction or softness (lenses tend to be less sharp at their extreme apertures) is a problem. Hmmm, at this wide focal length (20mm) my hyperfocal app says f11 will give me “acceptable” sharpness. To increase my margin for error I stop down to f16 because I know from experience, at f16 on my camera, diffraction and lens softness will be tolerable. But there’s only one plane of perfect sharpness, so even at f16, I need to make sure the perfectly sharp plane is in my foreground -> Live-view focus on the small rock jutting diagonally near the front of the large pool at my feet. Love the green translucence of the foreground pool -> Dial reflections down. Sigh -> Find middle point with the polarizer. My GND darkens the clouds on the right too much -> Will need to dodge in Photoshop, but dodging could expose noise—make sure ISO is 100 despite the fading light. Without direct sunlight, these black rocks are sure dark -> Push exposure (increase shutter speed because aperture and ISO are already decided) as far to the right (in the histogram) as possible. The timing of the waves completely changes the image -> Monitor the waves’ break and action; time exposures for the desired effect. The setting sun is a ticking clock leaving only a small window when everything comes together -> Expose too soon and the sun blows out and the color fades; expose too late and the sun is gone (tick, tick, tick…). Click, review, adjust, repeat until satisfied (or time’s up). Move on to another scene and start over.